Distraught as much of the international community was over President Trump's withdrawal from the Iran nuclear deal, Latin American leaders may have seen it coming earlier than many. Since the campaign trail, Trump has set a new, highly disruptive tone for U.S. relations with the region. Why it matters: With a few notable exceptions, Latin America sees itself as supporting the principles of the liberal international order, particularly cooperation on nuclear arms control. The U.S. withdrawal from the Iran deal will make it much harder for the region's leaders to sell their publics on the idea that the U.S. lives up to its commitments. 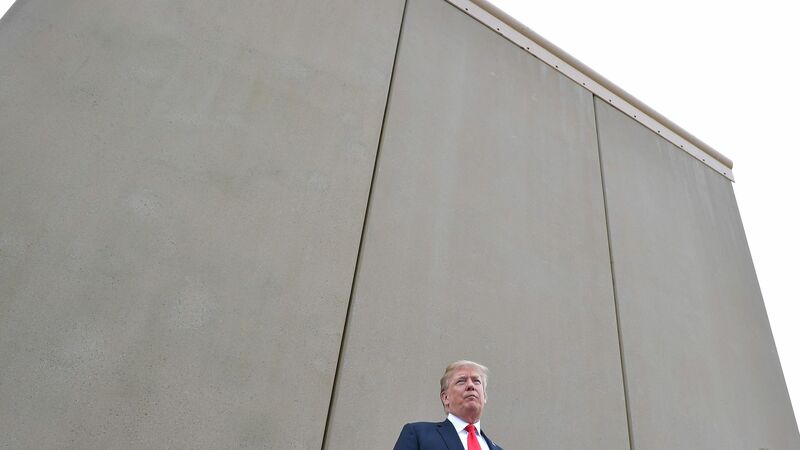 During the campaign, Trump used toxic rhetoric about Mexico before calling for new hardline immigration policies, the construction of a border wall along the U.S.–Mexico border and the renegotiation of NAFTA. On day three of his presidency, Trump withdrew from the Trans-Pacific Trade Partnership (TPP). Once a signature free-trade deal for the U.S. and key regional allies Chile, Mexico and Peru, TPP proposed a framework for better competition with Chinese economic influence in the Americas and East Asia. Trump later rolled back the Obama administration’s opening to Cuba, delivering on a campaign promise to take a harder line with Havana. Most recently, Trump canceled his visit to Lima, Peru, for the tri-annual Summit of the Americas attended by regional presidents, citing the need to respond to chemical weapons attacks by Syria’s Assad — an understandable excuse, but a snub is a snub. The bottom line: The region is not in a strong enough position to choose its friends, but its patience may not be limitless. As the U.S. cedes its role in responsible global leadership, overtures from China and Russia will seem increasingly attractive. Latin America needs opportunities to develop, even if it means engaging in the risky business of cozying up to authoritarian regimes, though Trump's disruptions continue to lower the relative reputational costs of doing so. What's next: Amid heightened conflicts in the Middle East, Latin American countries may grow unwilling to stick their necks out for the U.S. on the global stage. Missile attacks on Syria may have been a dress rehearsal for what could come if the opening of the U.S. embassy in Jerusalem proves to be the start of a new cycle of Israeli–Palestinian conflict, leading Latin America to distance itself from U.S. military force.